One of the outdoor activities you can enjoy is hiking. It is a worthwhile activity that you can do on your free time or over the weekend. Whenever you feel like going hiking, it is essential to bring some important gears like flashlight, food and water and more. Though it does not have to so much since the activity takes just a day or two, your essentials can even fit in just a little backpack. By planning and organizing well, you can enjoy the activity without bringing too much. You only need to bring the things that are really necessary so you do not have to burden yourself carrying a heavy bag. Otherwise, you will not enjoy the hiking to the fullest if you strain your back because of your heavy bag. If you are to hike with your family, everyone must bring their own mini backpack and have their own needs like own water or any gadget they want to bring among others. They have the freedom to decide whichever they feel they need for the activity. Whatever they want to bring, they have to carry by themselves. When you only need a few items to bring, it is best to just use a small backpack. You can use this for short trips and even on your daily activities. Children and adults alike can just use a small backpack particularly when you only need a few things. There is no point of bringing a big bag when there are not much content. It is not pleasant to look at. As long as the backpack can accommodate all your important items, it is good to go. 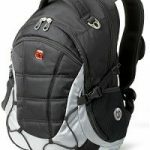 Besides, a small backpack has the same characteristics and features of the backpack. The only difference is it is the small version of the big backpack. 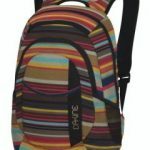 You know the small backpack will also be durable and made of quality materials. 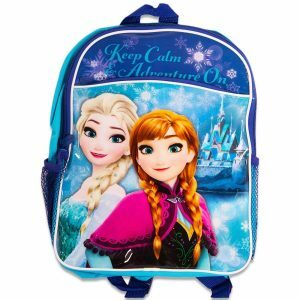 A small backpack is very ideal for kids as they can be able to carry with them their snacks and even some toys or other items that they prefer or love to bring with them. Moreover, they get a sense of responsibility for their bags and feel they are independent enough to be allowed to carry one. A small backpack is not only suitable for kids; it can be for adults too. There are times you have to go someplace near and need to carry a few items with you; a small bag will be the most appropriate for you. Usually, teenagers prefer to use this type of bag. Some women also prefer to use this bag, especially if they are just going over a short distance and they are on their casual wear. A small backpack is more functional than a purse. Using the appropriate backpack is necessary for any occasion or event such as hiking. It is not practical to use a big bag with only minimal content. It is best to look for a smaller bag that is lightweight but can accommodate and organize all your essentials for the trip or for the activity. The fabric musty be durable enough to carry heavy weight with strong latches and zippers so your things do not fall out.